Technical Analysis and Elliott Wave Theory: Five waves down! 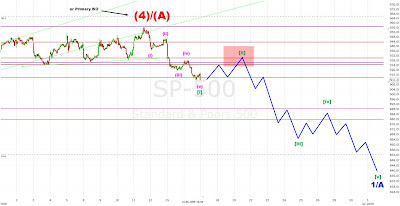 As expected, we got our wave (iv) to ~930 followed by a wave (v) to ~910 to complete wave [i]. In the next few days the market should rally into the red marked area (~930). After that, wave [iii] should start and break hopefully the strong support at 880.